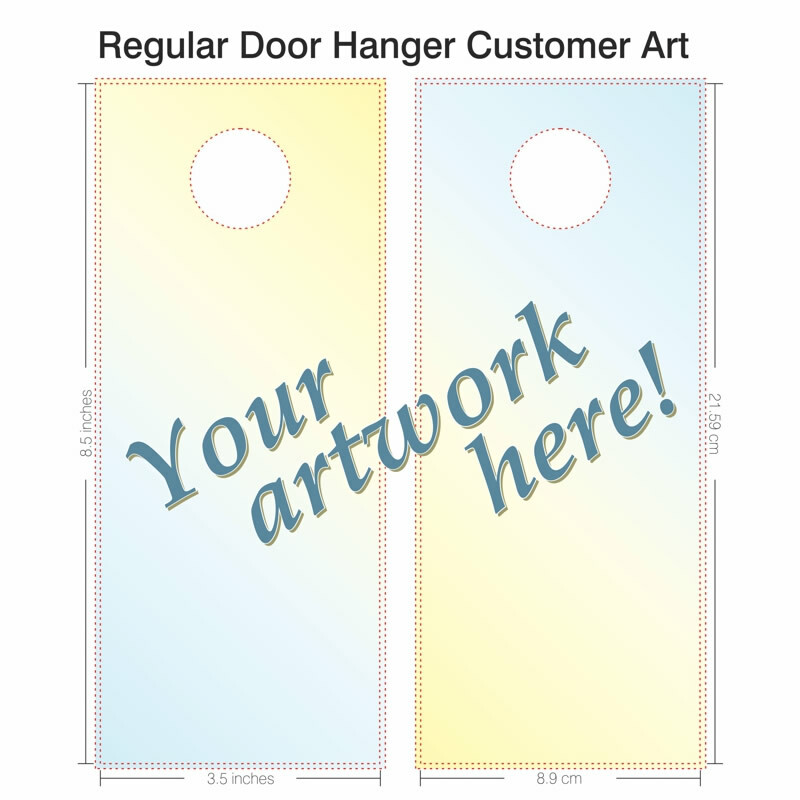 If you would like to design your own artwork it should measure 8.625 x 3.625 inches. The final cut size will be 8.5 x 3.5 inches. The art should be created and exported at 300 DPI resolution in CMYK color. Important text or images that should not be cut/punched should be located at least 0.2 inches away from the cut/punch lines. Exact placement of the die-cut is approximate so do not indicate it's location on the art. The area should be filled-in as if it wasn't being punched at all. If you are submitting exported images, please submit one image each of the front and back. The entire 8.5 x 3.5 inch surface may be printed upon. Any background color or images that you wish to have printed all the way to the edge should extend 0.0625 inches beyond that edge for a total bleed-sized art piece measuring 8.625 x 3.625 inches (8.5 x 3.5 inches + 0.0625 inches extra on all sides). Do not indicate the location of the door knob hole. We recommend that most text be sized at least 10 points for best readability. Starting at 13.5¢ each (1000 @ $135.10 plus shipping). Deliver the Gospel to every door! 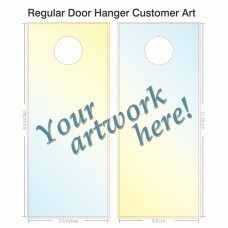 Door hangers are the perfect tool for anyone involved in door-to-door outreach.